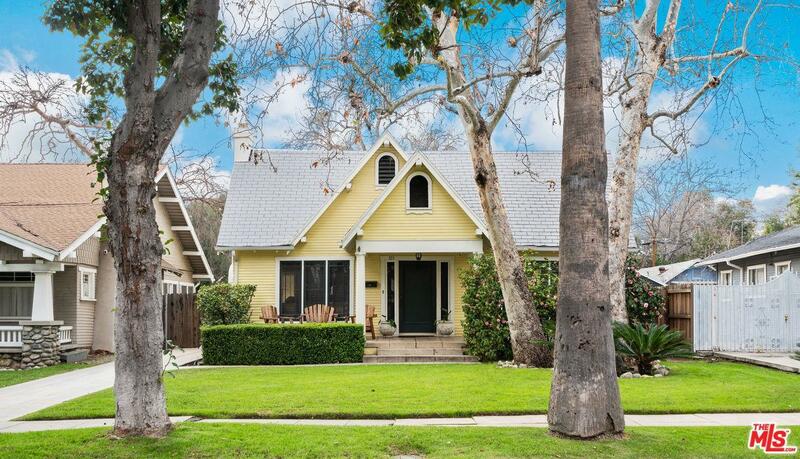 This Beautiful home in Bungalow Heaven, features 3 bedrooms, 1 bath, Private backyard, laundry area, updated copper plumbing,electrical, and historic ceramic tiles from Ernest Batchelder"Tile Maker" a leader in American Arts and Craft Movement. Home Features a Two Car Garage Detached, with Back Storage Area ( Enclosed Patio), Basement and Attic Space. Central AC/Heat . This neighborhood is quiet, leafy, close-knit of historic, early 20th century bungalow homes, many built during the Arts & Crafts period. The Landmark District, the first of its kind in Pasadena, was created in 1989 to preserve the historic significance of these homes. Bungalow Heaven has been listed in the National Register of Historic Places and has been designated as one of the "10 great places in America" by the APA.